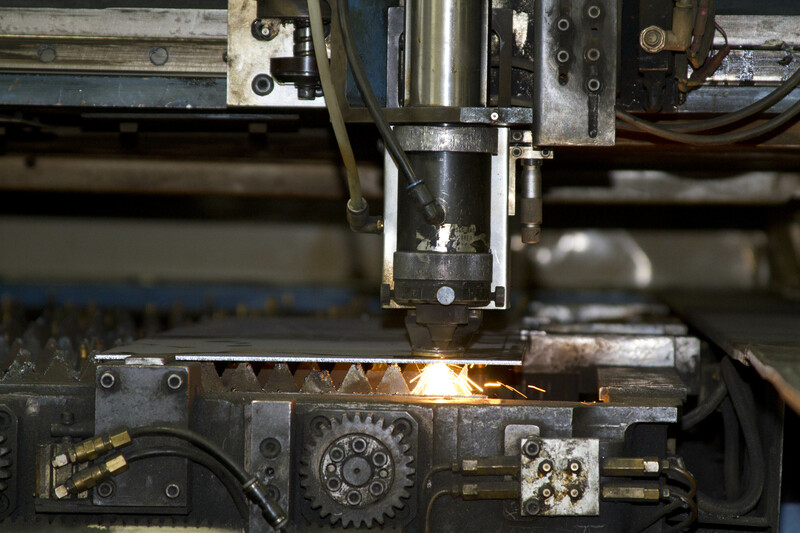 Laser cutting machines are computer numerical controlled machines that use a mixture of gases to pass an electrical current to cut sheet metal and industrial piping. There are two main different gases used in laser cutters: carbon dioxide, and neodymium or a neodymium-YAG (neodymium-doped yttrium aluminum garnet). The laser cutter then uses a process to compress the gases and use this compression to travel an array of reflected lights to emit a strong enough laser capable of cutting through metal. Typically, the carbon dioxide lasers are used to cut through different materials, ranging from stainless steel to wood, where as the neodymium lasers are used for etching and inscribing. What Are The Best Uses for Laser Cutters? At Metal Products Company, we house a Mazak LASER Path Turbo X-48. Our laser cutter is 1000 watt strength, and the table size is 48 X 96 inches. This machine adds to our line of custom manufacturing capabilities. We’ve handled projects ranging from customized brackets to decorative flower holding pieces. Many of our customers combine our powder coating capabilities to finish off their laser cut pieces. Visit our Custom Manufacturing section of our website to see picture examples of our previous custom manufacturing projects, including parts cut by our laser machine. This entry was posted in Laser Cutter on September 18, 2013 by johnatmetalproducts.